Let our team of IICRC certified technicians take charge if you discover a ceiling leak, flooded floors, or malfunctioning plumbing. We can reach commercial and residential properties around Arnold, Chesterfield, and St. Louis within 45 minutes of an emergency call. You can reach out to us at any time of the day or night, as we believe in providing our clients with around-the-clock water damage restoration service. Washing machines, refrigerators, and dish washers can cause extensive water damage if they break down. The St. Louis area can have fierce winters. Wet and windy weather can lead to frozen pipes that burst inside the walls or your home or business. A burst pipe can dump tremendous amounts of water into your property. Even small amounts of excess water can damage the structure of your home or business while increasing the odds that you will face mold growth. Get the water damage restoration process started right way by contacting us for a free visual inspection for property owners only. 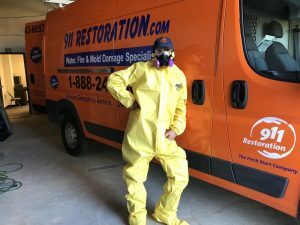 How Can a Water Damage Restoration Company Help You? Before the team can focus on water damage restoration, we must stop additional water from entering your property. Let us find out where the water is coming from and shut it off so you do not have to worry about additional flooding. 911 Restoration of St. Louis uses professional-grade pumps and equipment to quickly remove massive amounts of water from homes and businesses around Arnold and Chesterfield. Water damage restoration involves more than just removing the obvious water. 911 Restoration of St. Louis uses dehumidifiers and other equipment to take care of all traces of moisture. The team can even handle carpet drying. Water damage can, unfortunately, give mold a foothold into your home or business. Let us search for signs of a mold infestation. Technicians can take care of mold removal if any signs of excessive mold growth are present on your property. 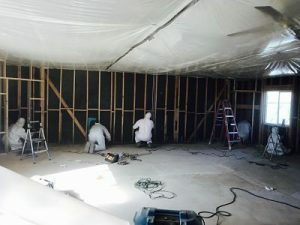 The team at 911 Restoration of St. Louis will work on your property until it is restored to better-than-new condition. Let us get to work on any repairs and restoration you need today. Can 911 Restoration of St. Louis Deal with Mold Removal? No property owner wants to discover that they have a mold problem. Mold growth causes unsightly blemishes, musty odors, and the spores can even cause health issues if they are inhaled. Fortunately, 911 Restoration of St. Louis can take care of mold removal immediately. Here at 911 Restoration of St. Louis, we value your health and well-being. The team can spring into action right away to handle mold removal, to protect your safety. Our team has equipment that can keep mold from spreading through your property during the mold removal process. Technicians understand how important it is to isolate areas suffering from mold growth. Technicians will remove mold and any items colonized by the mold. In some cases, items can be cleaned, disinfected, and returned to you. In severe cases, some items may not be salvageable after a mold infestation. 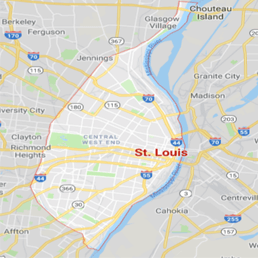 The goal at 911 Restoration of St. Louis is always to provide top-of-the-line restoration services to property owners around St. Louis, Chesterfield, and Arnold. 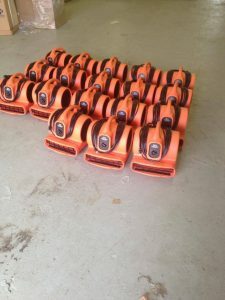 The team has the equipment and training to handle water damage restoration and mold removal. We do not consider any job to be too large or too small to take on for our customers. Contact us today to get the help you need to handle water damage emergencies.